The stylish and strong aluminium stand ships with rubber dock for the Apple Watch magnetic charger to avoid scratching and ensure the Apple watch holds in place perfectly. The 45°angled stand provides a stable and comfortable view of the Apple Watch display, so whether you’re sat at your desk or at your bed side, the Apple Watch face is still in view. 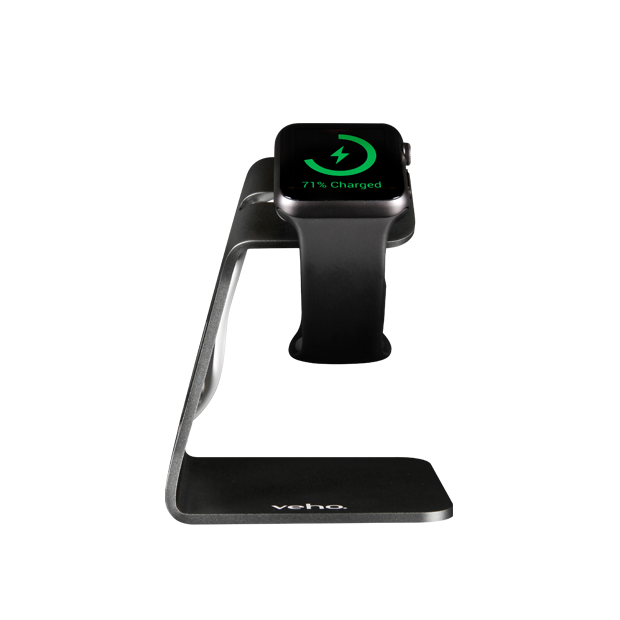 Please note that the Veho DS-2 charging dock and stand doesn’t include the Apple Watch, the Apple Watch charger or the Apple Watch Case. Micro suction, sticky base avoids the dock moving around.